The announced purpose of U.S. antiterrorist policies after 9/11 was to bring democracy and the rule of law to the Middle East. At home, those values were regularly threatened by illegal, unconstitutional, secret, and unaccountable programs. The Bush administration claimed that terrorists hate America for its freedoms, yet its actions jeopardized those freedoms and brought the reputation of the United States lower in the eyes of the world. Government surveillance. Suspension of habeas corpus. Secret tribunals. Most Americans would recognize these controversial topics from today's headlines. Unfortunately, as Louis Fisher reminds us, such violations of freedom have been with us throughout our history-and continue to threaten the Constitution and the rights that it protects. Distilling more than two centuries of history into a panoramic and compelling narrative, Fisher chronicles the long-standing tension between protecting our constitutional rights and safeguarding national security, from the Whiskey Rebellion to the McCarthy hearings to George W. Bush's "War on Terror." Along the way, he raises crucial questions regarding our democracy's ongoing tug-of-war between secrecy and transparency, between expediency and morality, and between legal double-talk and the true rule of law. 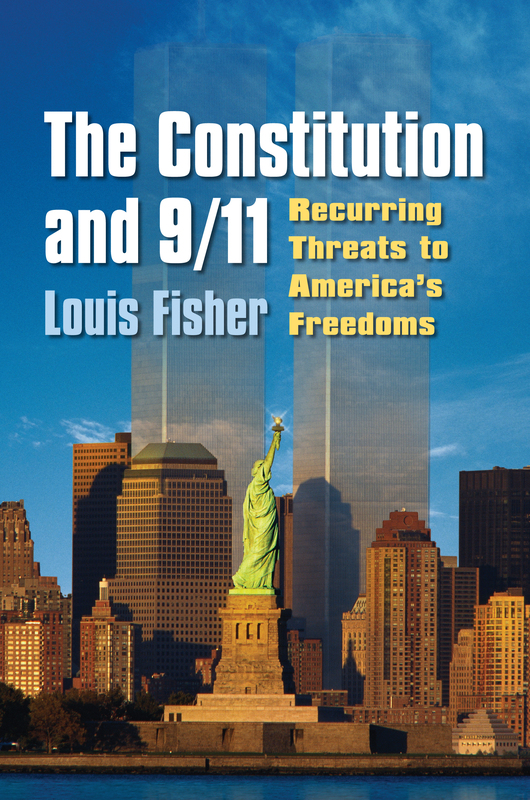 Fisher focuses especially on how the Bush administration's responses to 9/11 have damaged our constitutional culture and values, threatened individual liberties, and challenged the essential nature of our government's system of checks and balances. His close analysis of five topics—the resurrection of military tribunals, the Guantnamo detainees, the state secrets privilege, NSA surveillance, and extraordinary rendition-places into sharp relief the gradual but relentless erosion of fundamental rights along with an enormous expansion and concentration of presidential power in the post-9/11 era. For Fisher, the Constitution's strength as a guarantor of freedom and rights is only as sound and reliable as our own commitment to the values it describes. Each generation of Americans is asked in essence: do you want a republic or a monarchy? Benjamin Franklin, of course, famously responded: "A republic, if you can keep it." Fisher's book reminds us of the political principles we need to rediscover to keep our nation free. Louis Fisher is the author of more than a dozen books, including Presidential War Power, Military Tribunals and Presidential Power, In the Name of National Security, and Constitutional Conflicts between Congress and the President, now in its sixth edition.